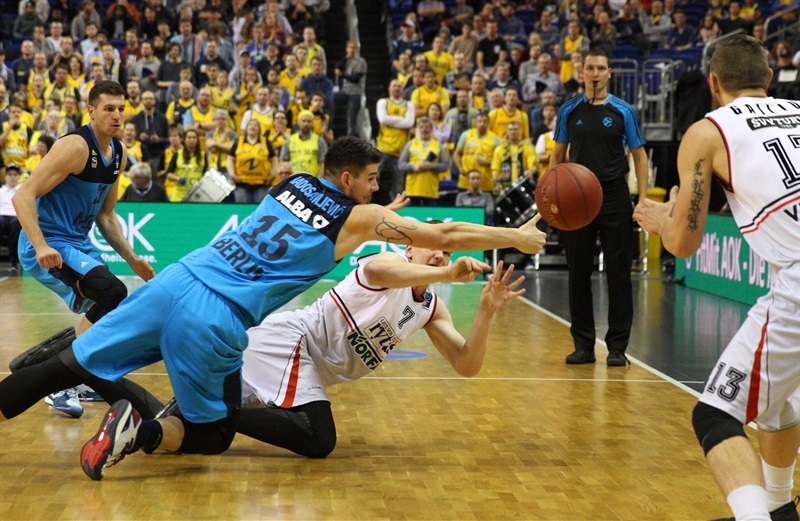 ALBA Berlin outgunned Lietuvos Rytas Vilnius 124-115 after two overtime periods on Wednesday at Mercedes-Benz Arena in the German capital. 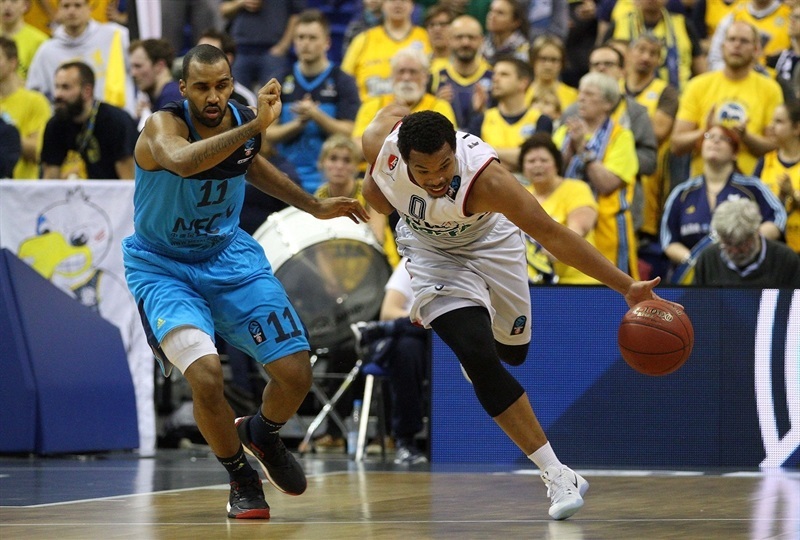 ALBA improved to 3-1 in the standings, while Rytas saw its record drop to 0-3. 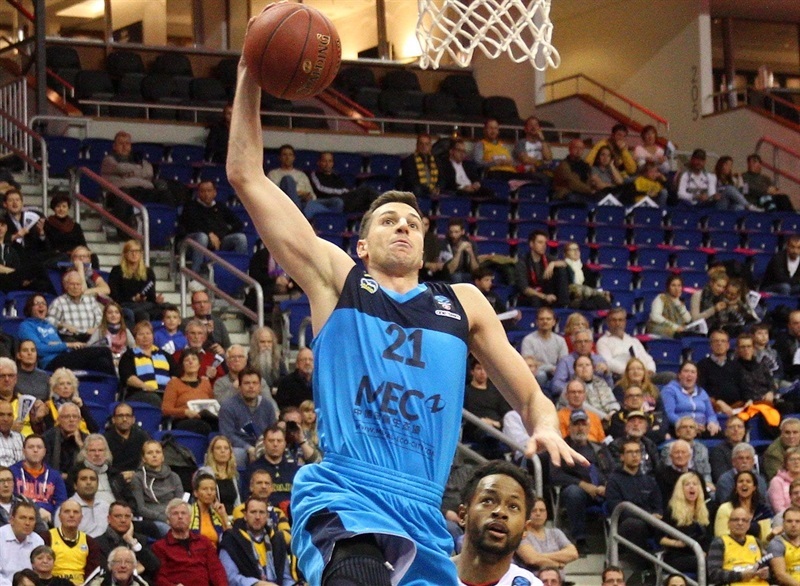 Elmedin Kikanovic dominated with 33 points for the winners, while Dominique Johnson scored 24 and Peyton Siva followed with 23 points and 5 assists. 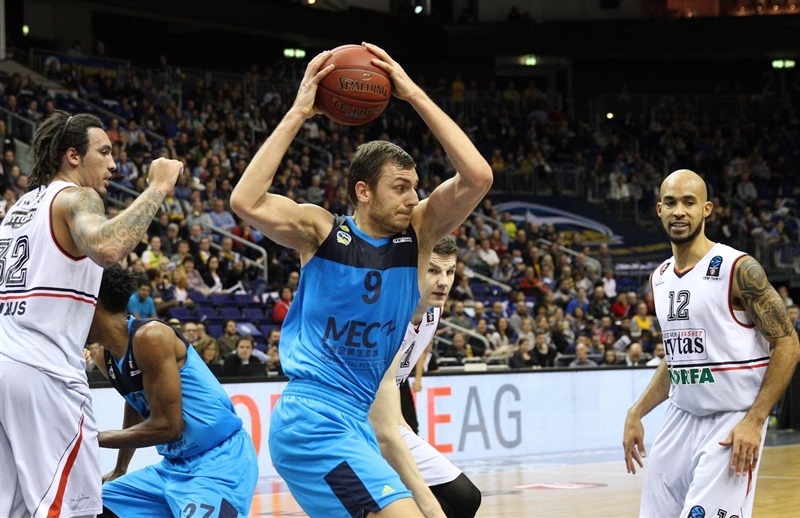 Dragan Milosavljevic added 16 points and Niels Giffey 10. Deividas Gailius, Corey Fisher and David Logan each scored 23 points for Rytas, while Drew Gordon contributed 16 points and 15 rebounds. 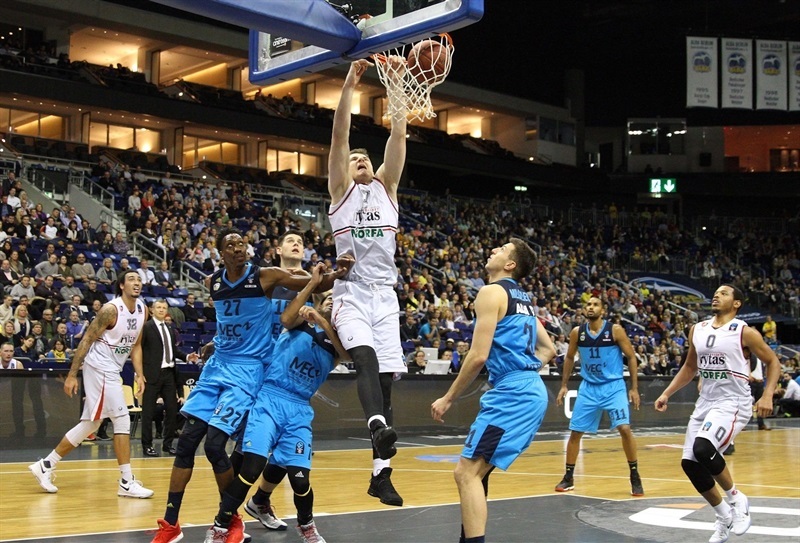 Arturas Gudaitis added 15 points and Arturas Jomanatas 10. 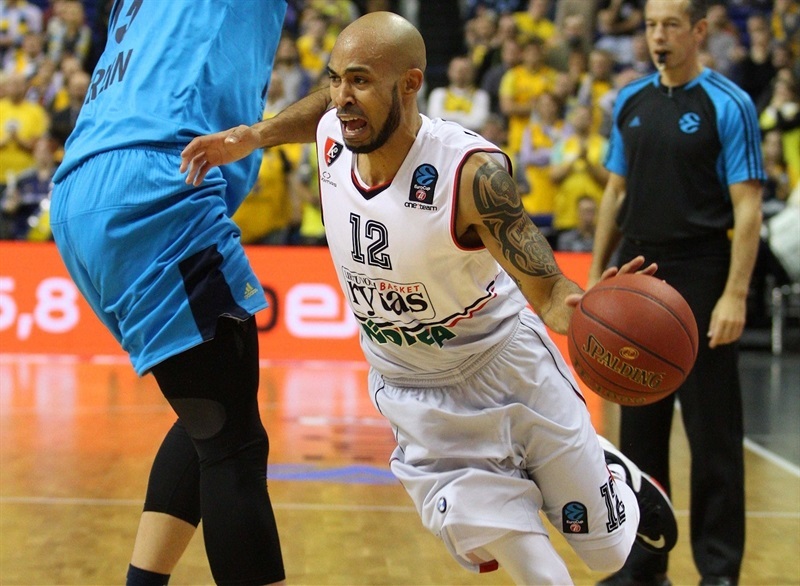 Logan also dished 8 assists for Rytas. Fisher scored 7 points early on as Rytas went up 12-19 in the first quarter, Siva led ALBA in closing within 17-19 at the end of the first quarter, and Johnson’s fastbreak basket gave the hosts their first lead of the night, 25-23. 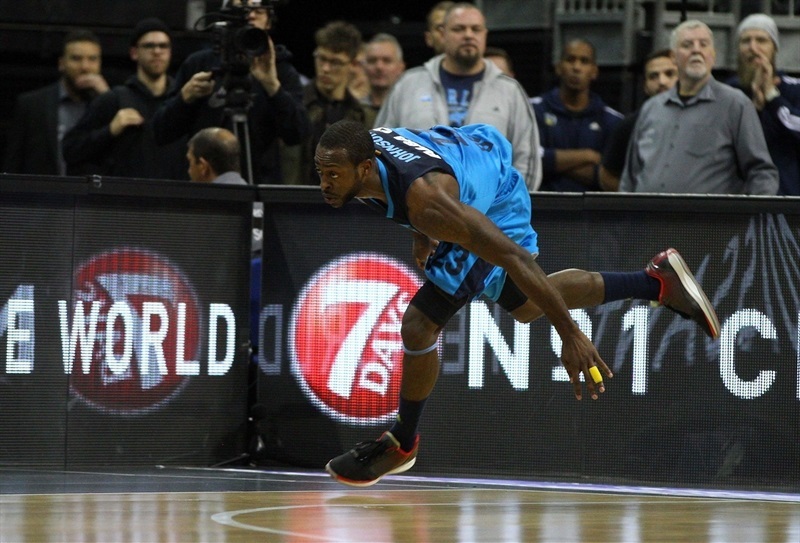 Neither team managed to take control of the game, with Kikanovic doing the damage inside for ALBA, which held a 45-44 advantage at halftime. The teams traded blows in the third, but the hosts mostly kept a slim lead before 5 consecutive points from Johnson, including a triple, made it 69-61 early in the fourth. 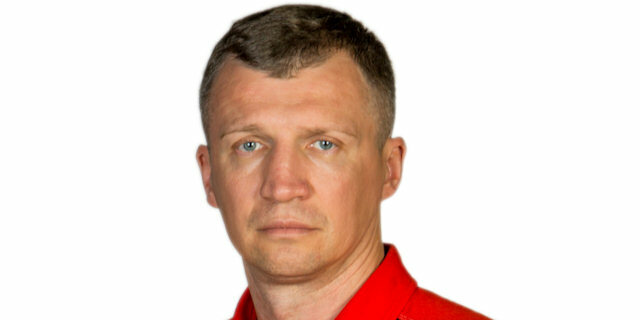 However, Deividas Gailius responded with a pair of threes, and Logan hit one from long range to help Rytas regain the lead, 72-76, midway through the fourth. Gailius’s third and fourth threes of the quarter increased the margin to 77-86. But, the hosts came back as Johnson scored 10 points to bring ALBA in front, before Logan split free throws and sent the game to overtime. 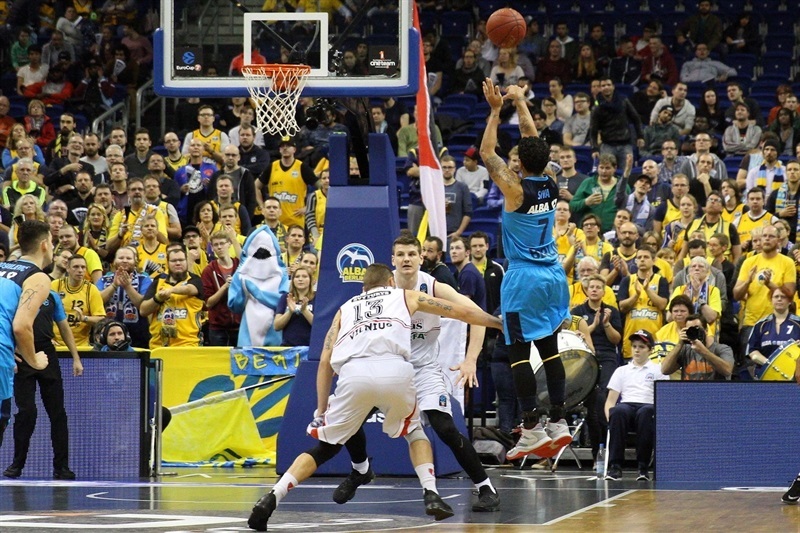 ALBA had the lead twice in the final minute of the first overtime, but Gordon beat the buzzer to force a second extra session. 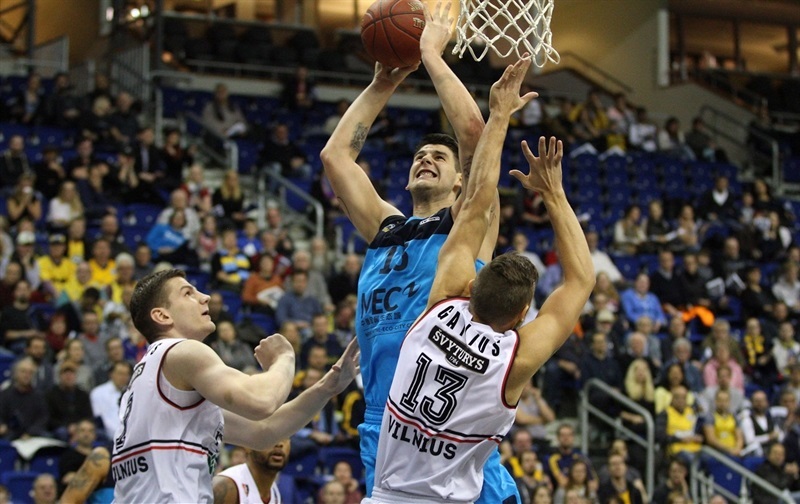 That’s when Siva, Milosavljevic and Giffey hit a triple apiece to seal ALBA’s win.